We are specialist solicitors with the right combination of expertise, skills and tactics to help clients achieve the best possible outcomes. We act for both individuals and businesses. UK Immigration Solicitors is one of the UK’s most well known and trusted names when it comes to solving immigration problems concerning the United Kingdom. We are highly rated and very well respected by both clients and legal professionals alike. We are a nationwide, fully SRA regulated, privately funded firm of solicitors with global coverage. We are proud to have more than 60 years of combined immigration expertise so rest assured you are in safe hands with us. Our expertise has really set us apart from the competition as we have rapidly grown across the nation to secure our place as the number one immigration specialist in the UK. Our client testimonials show we are very good at what we do and highlight our emphasis on providing all our clients with a professional, personal and results driven service. UK Immigration Solicitors have a proven track record with 100’s of happy clients being added each year. We make a point of staying away from quoting success rates as, if you take a moment to consider things carefully, you will realise that most companies will quote a baseless percentage which is designed to convince you to go ahead with them on the assumption that your case will be be successful. Ask yourself, and the company concerned how they measure the quoted success rates and whether they can guarantee the success of your case. We don’t quote baseless success rates but we allow you to see our recent case outcomes for yourself – Real clients, independently verifiable with real provable results – The way it should be. In a recent client satisfaction survey, 98% of our clients would recommend us to their friends and family due to our client focused, outcome driven approach and industry leading success rates. We have also established close knit relationships with some of the UK’s most eminent immigration barristers and are in the enviable position of being praised by both lay and professional clients alike. 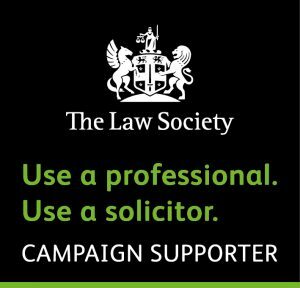 Our website also features a number of professional testimonials that highlight what the countries leading barristers think about us and our way of doing things. UK Immigration Solicitors are proud of our truly global presence. We take new instructions from around the globe on a daily basis and to date, we have taken instructions from over 40 different countries which have been serviced at our UK offices in Birmingham, Manchester and London which act as testament to our truly global presence. You don’t need to come and see us to use our services – you can live or work anywhere in the UK or abroad and still use UK Immigration Solicitors to handle your case professionally. We make sure it’s easy to speak to us at a time and place that suits you. Our user friendly and informative website, is supported by our knowledgeable free assessments team who help to make it easy to instruct us instantly over the phone from the comfort of your own home so you can focus on what’s important to you rather than spending time travelling to our offices. This unique client focused approach allows you to take advantage of our personal service and specialist knowledge on the move, at your leisure and at your convenience. For most clients we give our advice by telephone and email. However, if you do want to come and meet us we will be delighted to see you at any of our offices by prior appointment. At UK Immigration Solicitors, we understand that people are often reluctant to involve solicitors because of concerns about spiralling legal fees and complex procedures make them feel as though they are not in control of the situation. Experience also tells us that clients want to know exactly where they stand and the costs involved from the outset so that there are no unpleasant surprises. We have put a lot of effort into ensuring that our services and associated fees are as clear as they can be. Our way of doing things: We have completely done away with hourly billing and billable units and adopted a completely transparent agreed fixed fee model. We provide all clients with an agreed fixed fee quotation before we take on their case. An agreed fixed fee is when a total legal fee is agreed and fixed with you in advance. It is payable upon instruction and means that once instructed, the firm is 100% obligated to complete all of the work agreed for the same price whether your case lasts a day or a year. This way of doing things gives our clients total clarity and peace of mind from the outset and they can rest assured that the fees quoted are the total legal fees payable and there will be no unpleasant surprises along the way. Our clients are all individuals and have different circumstances, goals and preferences. For this reason, we treat all of our clients as individuals and only issue binding quotations once we have carried out a free needs assessment with them. This is a very quick process and typically involves a quick phone call with a member of our assessments team to establish what you need, what can be done, the best way forward and the associated costs. Once we issue you with a quotation, you can decide if you wish to accept it. If you choose not to, we thank you for getting in touch and wish you the best of luck for the future. If you accept our quotation, your dedicated assessment officer will take an instruction from you and set up a client file and legal consultation. Although our fees are tailored to your individual circumstances, goals and requirements, we have, in pursuit of absolute clarity for our valued clients, produced a fee guide which sets out our general fees for immigration matters. Please note however that the fee guide serves as general guidance only and does not constitute any offer of service or quotation. To obtain a binding quotation for us to deal with your case, please contact our Assessments Team on 0203 384 4380. 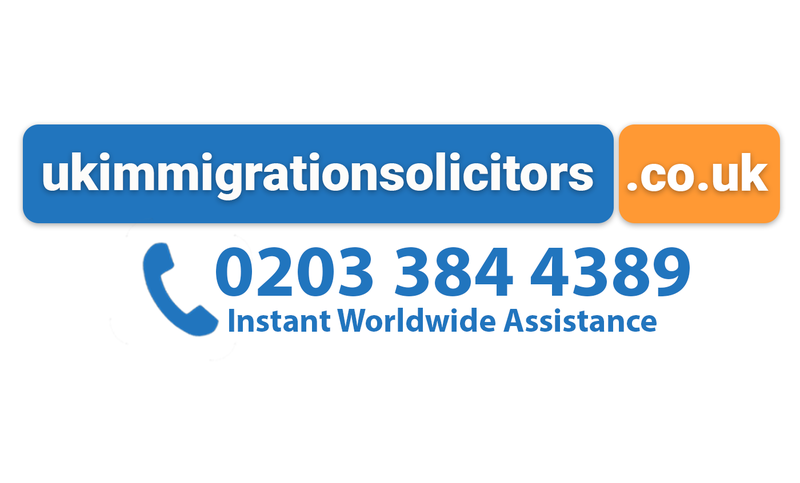 All of our advice and guidance is provided by qualified and experienced immigration solicitors. This ensures they have the expertise, knowledge and skills to get the end result you are looking for, saving you time, effort, frustration and money on your journey. As a nationwide firm of solicitors, we are authorised and regulated by the Solicitors Regulation Authority. The benefit for all of our clients is that every aspect of what we do is governed by the SRA Code of Conduct and, if things go wrong, (which is thankfully very rare) we are fully insured and have robust client protection and resolution measures in place ensuring your interests are protected at all times. Our solicitors are helped by dedicated support staff who look after our office and financial administration. You will find everyone at UK Immigration Solicitors friendly, professional and always keen to help you. Our initial needs assessments are free and no obligation so what do you have to lose?